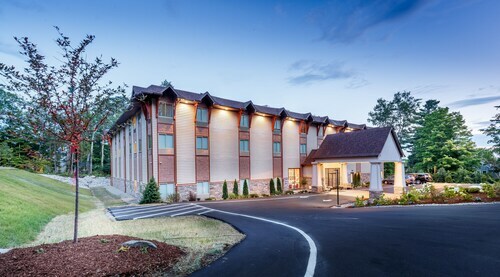 Situated in Lincoln, this hotel is 0.1 mi (0.1 km) from White Mountain National Forest and 2.1 mi (3.4 km) from Clark's Trading Post. Whale's Tale Water Park and Flume Gorge are also within 2 mi (3 km). 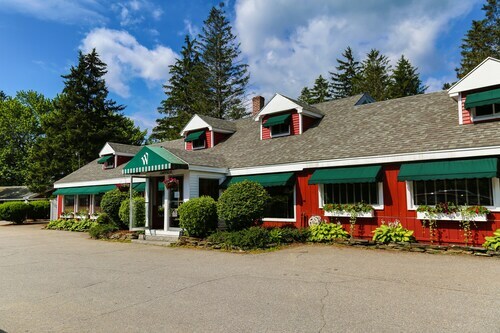 Conveniently located near the ski slopes, this Bretton Woods resort is in the mountains, within 2 mi (3 km) of White Mountain National Forest and Bretton Woods Ski Area, and close to winter sports such as snowmobiling. Mount Washington Cog Railway and Crawford Notch State Park are also within 9 mi (15 km). 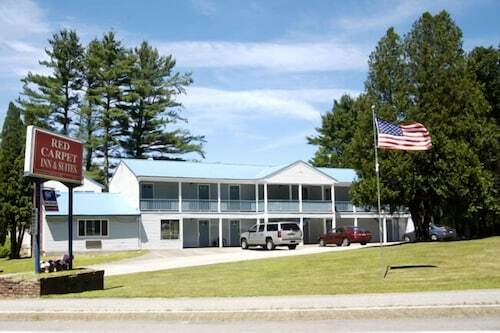 Situated in a state park, this resort is 0.1 mi (0.1 km) from White Mountain National Forest and 2 mi (3.2 km) from Clark's Trading Post. Whale's Tale Water Park and Flume Gorge are also within 2 mi (3 km). 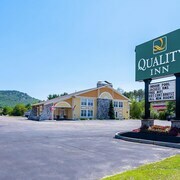 Situated in Gorham, this motel is 1 mi (1.6 km) from Gorham Historical Society and Railroad Museum and within 3 mi (5 km) of Moose Brook State Park and White Mountain National Forest. Jericho Mountain State Park and Moffett House Museum and Genealogy Center are also within 6 mi (10 km). 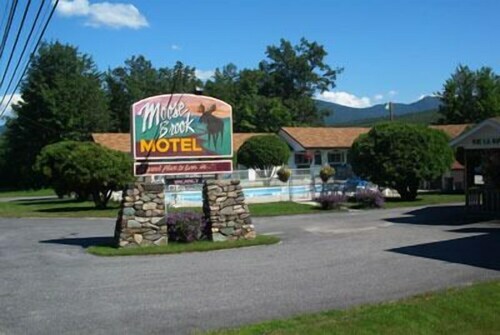 Situated in the mountains, this motel is 1 mi (1.7 km) from Moose Brook State Park and 1.8 mi (2.9 km) from Gorham Historical Society and Railroad Museum. Great Glen Trails Outdoor Center and Wildcat Mountain Ski Area are also within 12 mi (20 km). 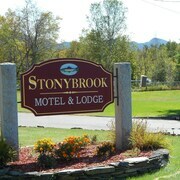 Situated in the mountains, this motel is within 1 mi (2 km) of Museum of the White Mountains and Plymouth State University. Plymouth Historical Society Museum and The Flying Monkey Movie House and Performance Center are also within 1 mi (2 km). This family-friendly Bethlehem hotel is within a 10-minute walk of Gallery at WREN and Colonial Theater. Strawberry Hill State Forest and Bethlehem Heritage Society Museum are also within 2 mi (3 km). 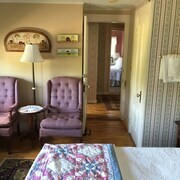 Situated in Whitefield, this bed & breakfast is 1.8 mi (2.9 km) from Weathervane Theatre and within 9 mi (15 km) of Pondicherry Wildlife Refuge and Weeks State Park. Bethlehem Heritage Society Museum and Colonial Theater are also within 9 mi (15 km). 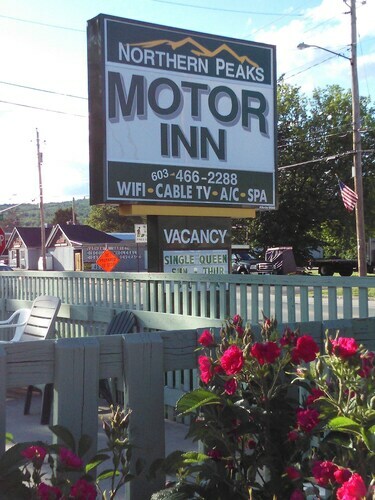 How Much is a Hotel Room in White Mountains? 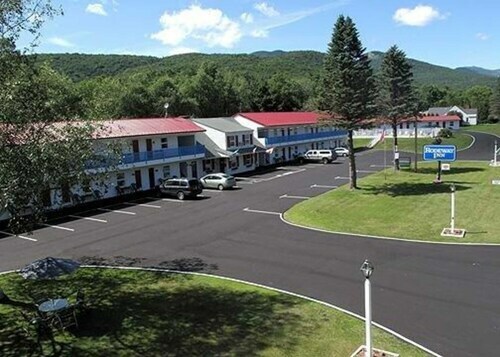 Hotels in White Mountains start at $59 per night. Prices and availability subject to change. Additional terms may apply. 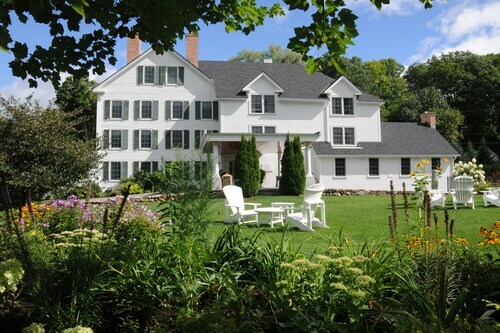 If you're aching to visit New England's most rugged mountains, then you're in for a treat. You only need to go to the White Mountains of New Hampshire to traverse the highest peaks in New England. Whether you're keen to hike the mountains, take a ski trip, or visit a fun-filled amusement or water park, you'll certainly have a good time in White Mountains, New Hampshire. What's stopping you? 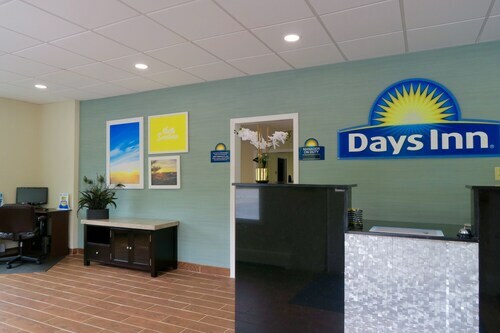 Cheap flights to Burlington will take you to your pristine mountain getaway without breaking the bank. 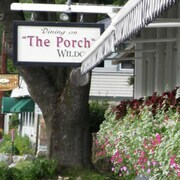 When you come to White Mountains, you're met with unmatched views of the surrounding wilderness and wildlife. Begin your tour with a visit to Flume Gorge in Lincoln, New Hampshire. With its wooden bridges and carefully marked paths, it's the perfect place to take a leisurely stroll. You'll even pass by a magnificent waterfall. Afterwards, go to Cannon Mountain. Steep cliffs mark this impressively tall mountain. If you think you're up for it, try rock climbing. 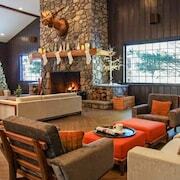 When you're finally ready to take a breather, rest up at one of the lovely hotels in White Mountains, NH. Are you starting to work up an appetite? You'll find many great restaurants that serve up the finest American classics. Whether you're craving a warm bowl of macaroni and cheese or you'd prefer to munch on some delicious homemade pancakes, you can satisfy your hunger on Main Street. Are you on the lookout for the best bars? No problem. All the greatest nightlife is concentrated in the small town of Meredith. 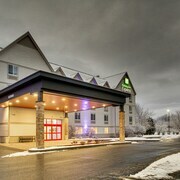 After a fun-filled day, head back to White Mountains hotels to catch some z's. 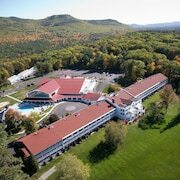 Are you excited to explore New England's most magnificent mountain range? 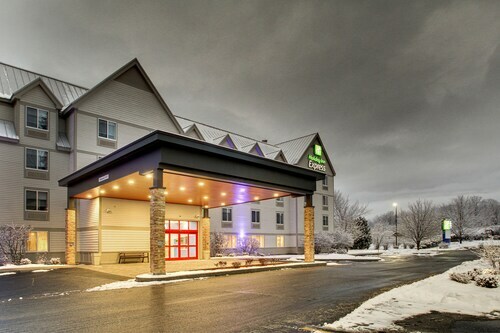 Thanks to Travelocity, it's never been easier to find great White Mountains hotel deals. 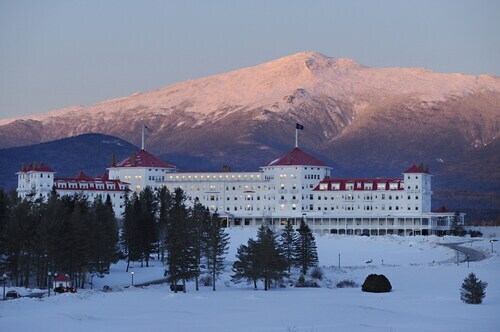 Book now on Travelocity, and you could save up to $537 on White Mountains packages by bundling your hotels and airfare together. The staff were exceptional!! The hotel itself was MUCH better than expected, the pictures did not do it justice at all. Nice setting and views at the base of Mt. Washington, interesting old style hotel, nice restaurants, good food. On Sunday April 7th there was no hot water and no heat at all. We called the office but there was no one there all day. The property is immaculate and definitely four if not five stars. After seeing our room, suite 34, we decided to stay an extra night. Bathroom is amazing, room is amazing. Went to dinner at the in-house restaurant - five stars. Zero complaints- breakfast was just as good. Looking forward to our second night. Definitely recommended and will return. Owner Jack was a class act. 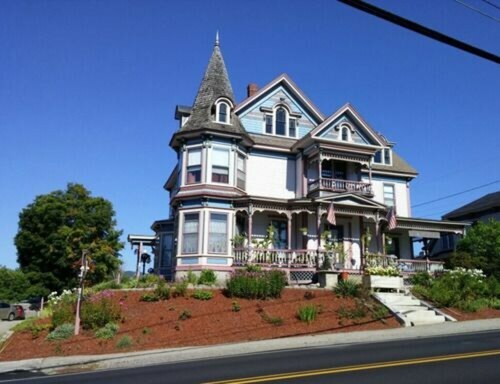 We stayed at the Top Notch Inn that they own because Mt. Madison wasn't open yet for the season.